Yesterday we added some new images of our double sided wedding programs to the website and I wanted to share some of them with you. 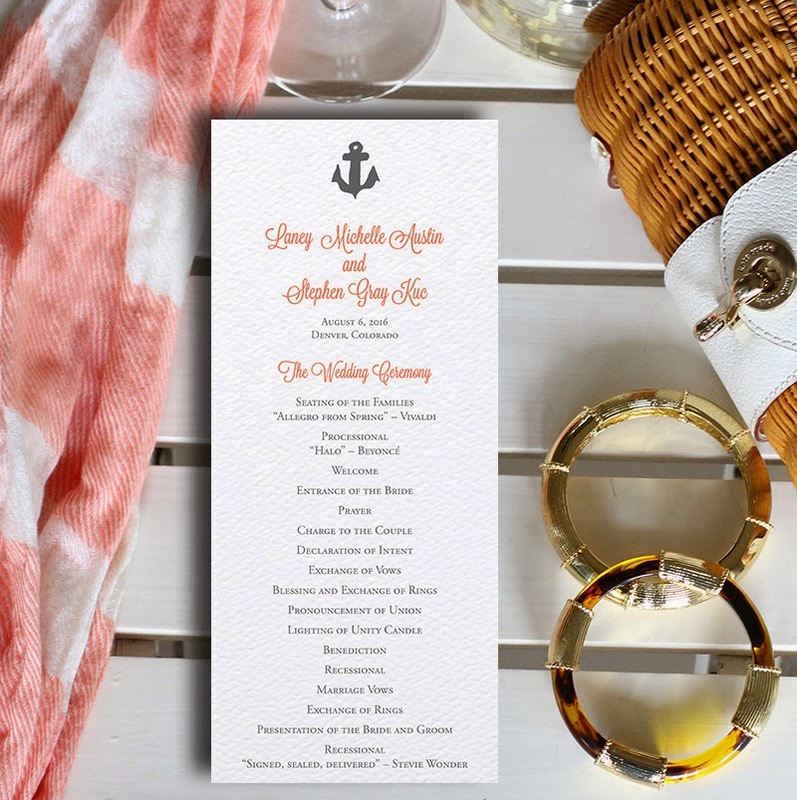 It may be the cold weather, but I am particularly smitten with this nautical themed wedding program, our anchor design. Coral and gray are one of my favorite color combinations. This navy wedding program is super versatile to go with any style. I am a huge fan of using a monogram throughout your wedding invitation suite and I really love this playful one with the big ampersand. And of course, I had to share our whimsical starfish wedding program design with you too. Gold and aqua are not colors you see together often, but I think they bring a really regal feel to the casual starfish element. You can see all of our wedding program designs here.